Have Any Art News? - Post & Let Us Promote it for Free! Light Space & Time Online Art Gallery announces their 7th Annual “Nature” Online Juried Art Competition for the month of October 2017. 2D and 3D artists from around the world are called upon to make online submissions for possible inclusion into the Gallery’s November 2017 online group art exhibition. 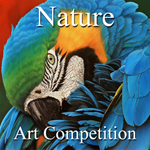 The gallery encourages entries from artists (including photography), regardless of where they reside to apply to this competition by submitting their nature themed art. The Deadline to enter is October 27th. Light Space & Time Online Art Gallery announces their 6th Annual “All Photography” Online Juried Art Competition for the month of November 2017. Photographers from around the world are called upon to make online submissions for possible inclusion into the Gallery’s December 2017 online group exhibition. 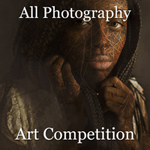 The gallery encourages entries from amateur or professional photographers regardless of where they reside and regardless of their experience or education in this media to submit their photography to this competition. Digital, film, manipulated and alternative photographic and printing processes will be accepted into this competition. This is competition does not have a specific theme. Light Space & Time Online Art Gallery is very pleased to announce that Belgin Yücelen has been selected as one of the four artists of the gallery’s seventh “Solo Art Series” Art Competition. 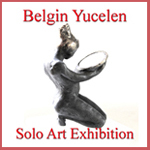 Belgin will now have a month long solo art exhibition and she will be featured on the gallery’s front page, in the Gallery’s YouTube Channel, as well as in the “Solo Art Series” archive. Belgin Yücelen is a sculptor and an installation artist living in Boulder, Colorado. Belgin will be promoted by the gallery with an extensive public relations campaign, provided by Kjprnews.com. They will promote and circulate her winning press release to over 1000+ News Outlets, (Premium FOX, CBS, NBC, CW Affiliated Sites), 500 TV & Radio Sites, 250 Regional & Industry Site through Kjprnews.com and through LST gallery’s broad social media network. 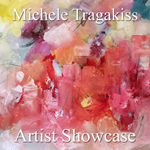 Light Space & Time Online Art Gallery is very pleased to announce that Michele Tragakiss has been named as the Gallery’s new featured artist and she will now be promoted by the gallery for the next 14 days in the gallery’s Artist Showcase. Michele Tragakiss is an east coast based abstract artist. Michele hopes to bring forth a personal story—a visual stream of (sub) consciousness in her paintings. Michele was selected as 1 of the top twelve finalists of the gallery’s recent Solo Art Exhibition Series #7. The placement in this competition qualified her art to be showcased in this feature.